Yaletown is an area of Downtown Vancouver that is bordered by False Creek, Robson, and Homer Streets. The area was originally populated by mostly warehouses and rail yards but many have since been transformed into converted modern residential/commercial property (particularly Mainland & Hamilton). This has given areas within Yaletown a very distinct look & feel. Between the converted heritage buildings, modern high-rise apartment blocks, distinctive condos, marinas, numerous parks and recreation, Yaletown presents a unique and active local atmosphere – creating one of the most desirable real estate locations in the downtown core, home to many of the city’s trendiest restaurants, bars and night spots, hip shopping boutiques and celebrity haunts. The famous Stanley Park seawall forms the southern border of Yaletown, located on the shores of False Creek. From there it is a short 2 minute water taxi ride across False Creek to Granville Island & Science World. 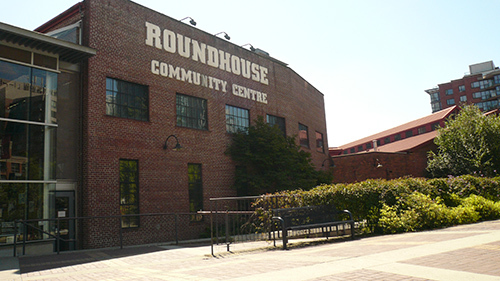 At Davie Street and Pacific Boulevard, you can find the old brick CP roundhouse that has been converted into the Roundhouse Community Centre and the new Yaletown Skytrain station. Various Parks are located throughout Yaletown, two of the larger being Coopers' Park & David Lam Park. BC Place & Rogers Arena are both a short 5-10 minute walk from anywhere in Yaletown. 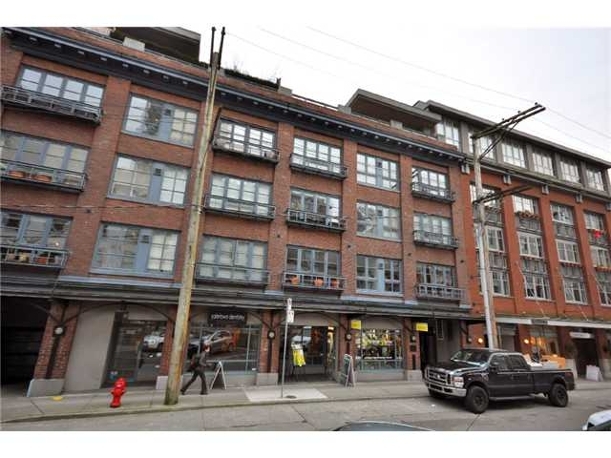 The real estate in Yaletown offers a variety of condos or apartments to choose from. Consult Amalia Liapis, your Yaletown real estate professional, for more information. 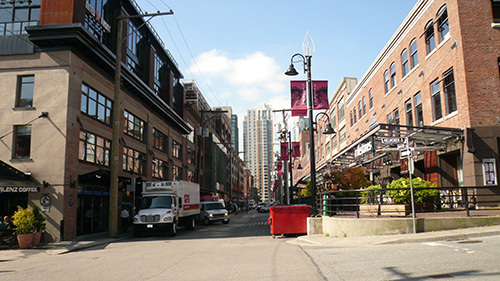 The main area of Yaletown can best be identified and experienced within a six block radius - Mainland Street to Homer Street, between Nelson Street and Drake Street. This is where the majority of the old converted brick warehouse architecture has been retained. With the raised, wide original warehouse walkways still intact, parking can often be difficult to find along the tight one-way streets (Hamilton & Mainland). If you are visiting this area of Vancouver, especially during busy times, I recommend that you come on foot or check out this handy parking guide first, courtesy of Yaletown BIA. For those considering purchasing in Yaletown, it is incredibly important you verify your home will include parking and the type of ownership of the stall(s). In Yaletown, you will find some of Vancouver's best eateries, bars, spas & stores. The large patios of the Yaletown Brewing Company are a great place to gather, have a bite and watch some televised events. Just across the street, you will find the Mainland Galleria building, where Amalia Liapis keeps her personal offices. More information on Yaletown businesses can be found here. There are a number of Parks within Yaletown. Coopers' Park borders False Creek, just off Marinaside and under the Cambie Bridge. The winding paths and numerous benches of Coopers’ Park are all excellent places to enjoy the expansive views, while your dog is free to run around off-leash. David Lam Park is a large, stunning park located on Pacific Boulevard (off Drake Street). It features sport courts, playgrounds and outdoor artwork. David Lam Park is the location for many outdoor events. Along the seawall on the southern edge of Yaletown, you can take a water taxi to a number of local attractions, including Granville Island and Science World. BC Place and Rogers Arena are just a short walk from almost anywhere in Yaletown. Both host a variety of events, while Rogers Arena is home to games for the Vancouver Canucks. Edgewater Casino is located near BC Place, on Pacific Boulevard. What is left of The Plaza of Nations is now a part of Edgewater Casino but the outdoor waterfront space still plays host to many events & parties. The Queen Elizabeth Theatre and Orpheum are located on the edges of Yaletown. The Vancouver Public Library is nearby between Robson Street & West Georgia. The New Yorker is a unique collection heritage warehouse loft conversions located directly in the heart of Yaletown. All homes here will feature brick, original exposed wood beams, floor to (high) ceiling windows but beyond that, each home is definitely one-of-a-kind! There are private rooftop gardens and you are close to everything Yaletown has to offer. Be aware that not every home will include parking. The New Yorker definitely reflects the unique flavour of the neighbourhood! Icon II, built in 2006 by Concord Pacific, is a 52-home luxury waterfront building designed by renowned architect Peter Busby. Interiors were designed to feel spacious & open, while the floor to ceiling windows offer plenty of light and water views. Building features 24 hours concierge service and Club Oasis with an 80 foot indoor pool, gym, theater room, billiards room, lounge and meeting room. George Wainborn Park is just behind the building and the seawall is just a few steps away. The Concord is an amazing waterfront luxury building on the southern edge of Yaletown, situated on the seawall and next to David Lam Park. These homes sport some very impressive finishings, floor to ceiling windows, large spacious layouts, spectacular water views and multiple patios. The building and amenities are top quality. Listings in the Concord come up rarely and these homes will be in upper range of pricing within Yaletown. 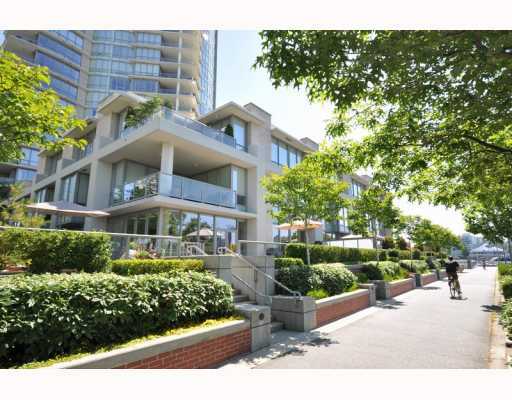 1288 Marinaside, Crestmark, is a stunning waterfront building located on the southern edge of Yaletown, overlooking False Creek. Both the condos and the townhomes here are very well laid out, enjoy plenty of light and often sport amazing water and city views. This is a quieter area of Yaletown but just steps away from shopping areas, including Urban Fare. 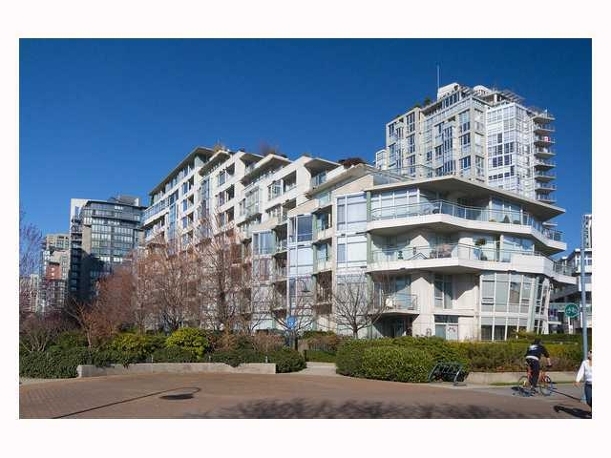 David Lam Park is just around the corner and your backdoor is the Seawall! • The TD International Jazz Festival is an annual event that brings in 1,800 artists, 300 concerts and 35 venues. It is Vancouver's signature festival and BC's biggest music and arts presentation. One of the larger venues is held in Yaletown's very own David Lam Park. For the most part, this festival is free and hosts many international artists and vendors in their marketplace. You can easily spend a few hours here so bring your own blanket, chairs and food and enjoy the live music. Better yet, there are many food vendors around and even a beer garden for those who'd like a nice refresher during the hot summer day! • CandyTown is an annual one-day festive event on Mainland Street which is transformed into a winter wonderland. The streets will be filled with local artisans, street performers, local merchants and live music. This outdoor event is great for the family and is full of activities for everyone to enjoy! • The Taste of Yaletown is a gastronomy lover's paradise. This two-week festival allows partnered Yaletown restaurants to create special menus and showcase their best dishes. Taste of Yaletown brings diners featured menus, special tastings and innovative pairings. You have the opportunity to select special offerings from participating restaurants, each with a special offering at $25, $35, or $45.